Coyote is normally seen as a man, but this beautiful poem investigates what it would be like if he was a woman. I’m getting more and more into poetry as time passes. There is just something about the lyricism of the words and the symbolism they often impart. It just works beautifully. 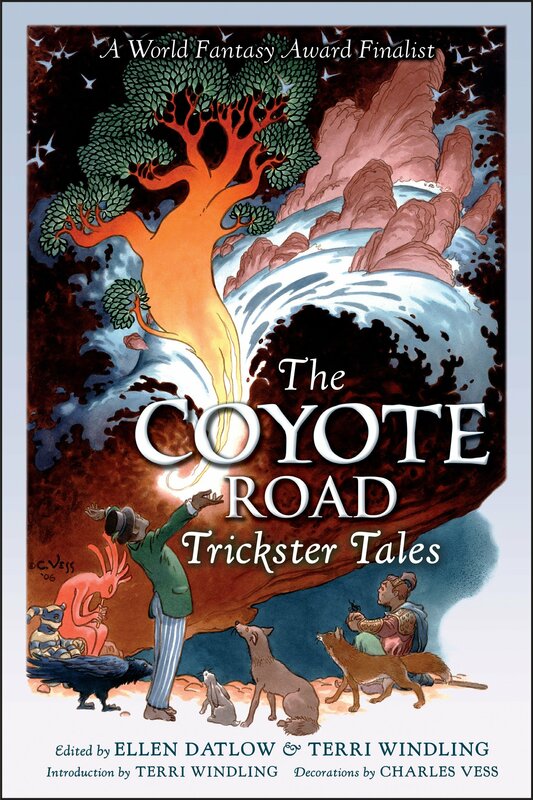 And the use of a female coyote in this story was just fantastic. I love that Dunn finds a way to impart the femininity of tricksters and can share this in so few pages. This poem is beautiful and fun, easy and enthralling. I read it twice in a row and could go back for thirds so easily. There is just something quaint, beautiful and fun about it that made me fall in love again and again and again.